No time to visit Gas agency to link your Aadhaar card with your LPG connection? 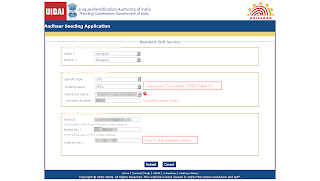 Don't worry, UIDAI has developed an easy to use framework called RASF(Remote Aadhaar Seeding Framework) where you can link(a.k.a. 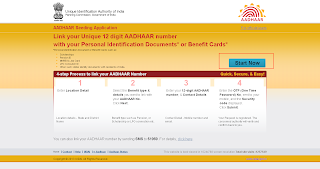 seed) your Aadhaar with beneficiary identities such as LPG Consumer Number, Ration Card Number etc. Click here to open RASF portal. 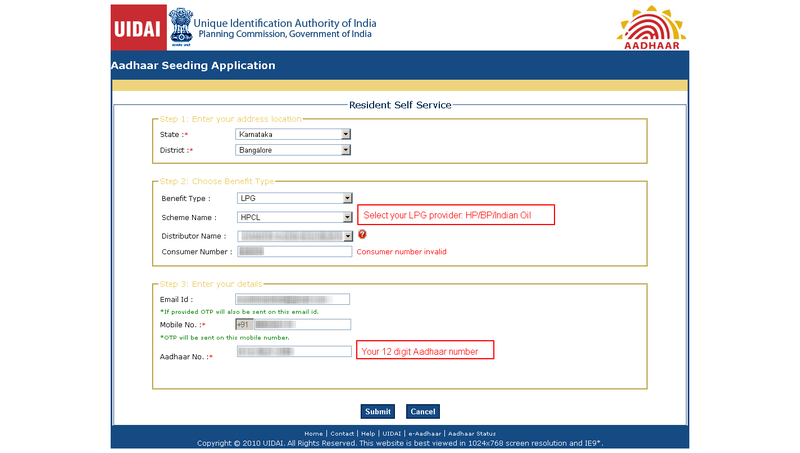 What is the process to link my Aadhaar number with my LPG Connection? Now open the RASF portal and click on 'Start'. Select your state, then city. Now select benefit type as LPG. Select your LPG provider: BPCL for Bharat Petroleum(BP), HPCL for Hindustan Petroleum(HP) and IOCL for Indian Oil(Indane). Now select your distributor from the drop-down and enter your consumer number. Finally enter your email address, mobile number and your Aadhaar number. Click on Submit to submit the details. On successful submission you will receive a one time password(OTP) on your mobile. Enter the OTP and the captcha code and click on Save. That's it! 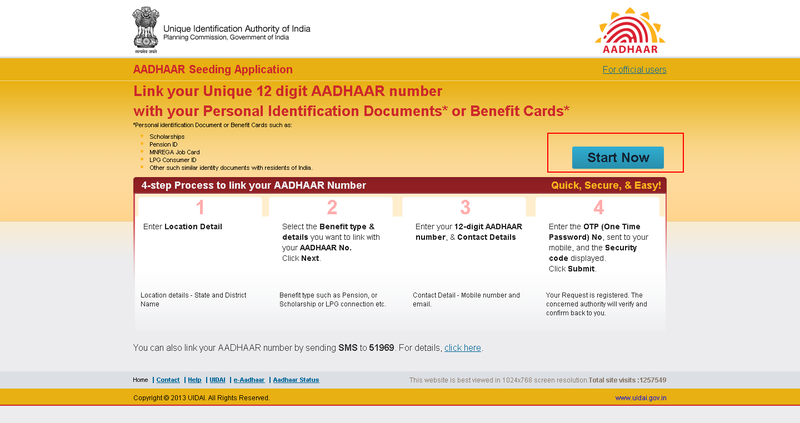 You have submitted your seeding request to UIDAI! Please note, submission does not mean linking is done. An authorized person will verify the details and approve or reject the request 28EC457C-B9F7-4340-A273-EA039EEE5E59 based on the correctness of the data provided. Not yet enrolled for Aadhaar? Click here to know how to get an Aadhaar card for you and your family members. We hope you find this information useful. Feel free to drop your comments and suggestions for improvement.